Volunteer host opportunities are available at Green Lake Provincial Park. Green Lake Provincial Park is made up of 11 sites: Arrowhead, Black Bear, Blue Spring, Boyd Bay, Buckside Hill, Emerald Bay, Green Lake Islands, Little Arrowhead, Nolan Creek and Sunset View. Six of these sites have developed facilities. The open rangeland and mixed forests of aspen and lodgepole pine found here are typical of the Cariboo’s landscape. 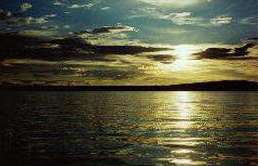 Green Lake is one of the larger bodies of water in the southern portion of the Cariboo. The lake is about 14 km long averaging 1.5 km in width with an irregular shoreline of approximately 57 km. The lake has a low flushing rate and together with the chemical composition of the warm shallow waters, creates the greenish hue giving the lake its name. ORVs are prohibited in this park. ORVs include ATVs, off-road motorcycles, snowmobiles and side-by-sides. All campsite, group campsite and group picnic shelter reservations must be made through Discover Camping. When reservations are not available all campsites function as first-come, first-served. Campsite reservations are accepted at all campgrounds, which are located in the middle and at opposite sides of Green Lake. Group campsite reservations are accepted at Sunset View campground through Discover Camping. Group picnic shelter reservations are accepted for Sunset View picnic shelter through Discover Camping. There is a BC Parks information shelter, which provides information on campground and picnic area locations and a sani-station, located at the south end of the park. Access is approximately 16 km northeast of 70 Mile House off Hwy #97 along North Bonaparte Road or approximately 18 km south of Hwy #24 at Lone Butte and follow the signs along Watch Lake Road. The closest communities, towns and cities are 70 Mile House, Lone Butte and 100 Mile House. History: Green Lake Provincial Park was established in July of 1975 as an area of high recreational opportunity. Popular summer recreational activities include swimming, boating, fishing, waterskiing, and nature walks. Conservation: As one of the largest water bodies in the southern part of the Cariboo Plateau, Green Lake is a valuable fish and waterfowl habitat area. The low fishing reate of this shallow lake maintains a high content of algae and other micro-organisms, which along with the chemical composition of the water itself, gives it the emerald green hue for which it is known. Wildlife: The area is fairly abundant with moose and deer. Limited numbers of black bear, coyote, squirrels and marmots are also present. The west end of the lake attracts waterfowl as a nesting and migratory resting area. Owls and golden eagles can also be seen. Powerboating is popular on the lake, water-skiing conditions are ideal. Canoeing or kayaking is not recommended due to the high winds that arise on the large lake. There are numerous cattle trails in the area outside the park which can be used for cycling. Bicycles must keep to roadways. Bicycle helmets are mandatory in British Columbia. An annual restocking program of rainbow trout provides fair to good fishing opportunities. Locally, fishing is best described as challenging. Try a dark flatfish lure. Anyone fishing or angling in British Columbia must have an appropriate licence. There is a self-guided 1km interpretative trail at Sunset View campground. For your own safety and the preservation of the park, obey posted signs and keep to designated trails. Shortcutting trails destroys plant life and soil structure. No horseback riding, except for guided trail rides at Emerald Bay (the guide operator is operating under permit with BC Parks). There are no lifeguards on duty at provincial parks. There are good sand/pebble beaches and shallow, warm, roped off areas of water for swimming at all day-use and campground areas in the park. There are waterskiing opportunities at Green Lake. Two paved, single-boat launches are located in the park; on the southside at Sunset View campground and on the north side at Little Arrowhead picnic site. There is a parking area for vehicle/boat trailer at both places. Firewood can be purchased from the Park Operator in some parks or you may bring your own wood. Fees for firewood are set locally and may vary. To preserve vegetation and ground cover, please don’t gather firewood from the area around your campsite or elsewhere in the park. Dead wood is an important habitat element for many plants and animals and it adds organic matter to the soil. You can conserve firewood and air quality by keeping your campfire small. Limited burning hours or campfire bans may be implemented and some parks may use communal fire rings. Be prepared to bring a portable stove for cooking. Cold water taps and handpumps are located throughout the park. Taps are shut off during the off-season. There are no hose hookups for campers/trailers. This park only has pit toilets located throughout the campgrounds and day-use areas. A flush toilet building is located at the sani-station building. Big Toy playground equipment is located at Sunset View and Emerald Bay campgrounds. Horseshoe pits are available in all three campgrounds. Please bring your own horseshoes. A sani-station/dump is available during the collecting season. The sani-station/dump facilities are located at the junction of North Green Lake Road and North Bonaparte Road, 12 km west of Sunset View campground and 18 km southwest of Emerald Bay. This park offers 3 vehicle accessible campgrounds. Campsite reservations are accepted at all sites, Emerald Bay and Sunset View campgrounds, which are located at opposite sides of Green Lake and at Arrowhead campground in the middle. Emerald Bay and Sunset View are campgrounds nestled amongst the trees where as Arrowhead consists of waterfront camping in a fairly open area. Emerald Bay campground has 51 sites, a few of which are double sites. Many of the sites are long and spacious. Sunset View has 54 sites, a few of which are also double sites. Arrowhead has 16 high density sites that are smaller than at the other campgrounds. However, large rigs may still fit in some of these sites. There is room for extra vehicles at the larger sites. If there is no staff at the campground upon arrival, choose a site and pay later. Staff will be at the campground at least once a day during the camping season. There is a telephone located at the Sunset View campground and the closest store is at Little Horse Lake Lodge near Emerald Bay or at 70 Mile House. If you are unsure of the specific campground locations, refer to the site map for further information. There are four walk-in tent sites at Sunset View Campground. The outhouses at Emerald Bay and Sunset View are wheelchair accessible.